When I shortlisted this subject to write on from the topics allotted to me, I knew that I was going to have the most amazing time, as after all, who doesn’t like binge watching ‘feel good’ films! Be it a hard day at work or a recent unpleasant break up, a ‘feel good’ movie never fails to cheer you up. To be honest, food and movies are the first two options that come to your mind to feel good, when you are going through a lean phase in your life. However, one might ask the question, ‘How do you exactly define a feel good film’? Is it a comedy film or a greatly inspiring film or an everyday slice of life film? The answer is- all of them! But, it doesn’t necessarily have to be the best comedy film to make you feel good. As long as you can connect with the film, feel happy and relaxed after watching it, and it leaves you with a lot of positivity, it is a ‘feel good’ film. Hence, a great comedy movie might not exactly be the best ‘feel good’ movie. That being said, comedies are certainly an integral part of the long list of ‘feel good’ movies, with the ones having an emotional quotient and a relatable story scoring high up the ladder! Bollywood has had some lovely ‘feel good’ movies over the years, which never cease to put a smile on our faces, regardless of the umpteen times we watch them. So, here is my list of the twenty-three top feel good Bollywood movies that will get you through the darkest of nights. You can watch some of these best feel good Hindi movies on Netflix, Hulu, or Amazon Prime. ‘Wake Up Sid’, directed by Ayan Mukherji, is one of the most pleasant Bollywood movies to have come out in the last decade. It is a coming of age story that revolves around the character of ‘Sid’, played by Ranbir Kapoor who matures from a rich, spoilt brat to a responsible young man throughout the film. Konkona Sen plays his writer friend, ‘Ayesha’ and together they have such an unusual but lovely chemistry. The ‘terrace scene’ with the two is one of the best in the film. It was one of Ranbir’s earlier performances and he went on to win the Filmfare Critics Award for Best Actor for this role. Konkona Sen as always stands out from the horde of Bollywood heroines who look and act almost the same. The songs go with the flow of the story, with ‘Iktara’ still being a favourite with the people. Wake Up Sid’s main strength and ‘feel good’ factor lies in its fresh and a more young approach to the telling of the story in a Bollywood film and no matter how many times you watch it, it never gets old! There are people who believe that ZNMD is just an eye-candy film promoting tourism in Spain. They couldn’t be more wrong. The fact that ZNMD is one of the most visually stunning films ever made can’t be held against it. It is like saying a beautiful blonde woman can’t be intelligent. Those who love the film know that it is highly entertaining and has male chemistry that we hardly get to see on-screen. But ZNMD is more than just a film about three friends bonding over a road trip. It is also about finding one’s truest self. Rarely you will find a film that celebrates the spirit of life the way ZNMD does. What is also creditworthy about ZNMD is that it’s brainchild of a woman: writer-director Zoya Akhtar. She captures the insecurities and the inner desires of men as beautifully as the gorgeous landscapes of Spain. ‘Khosla Ka Ghosla’ released in 2006 brought a talented director like Dibakar Banerjee to the forefront. The movie is about a middle aged man, ‘Kamal Kishore Khosla’ (Anupam Kher) whose plot of land has been usurped by a shrewd and heartless businessman (Boman Irani) and how his family devises a unique plan, with the help of some drama company actors to get it back. The film has been compared to the movies of Hrishikesh Mukherjee for its realistic portrayal of the middle class. Anupam Kher gave one of the best performances of his career as the helpless common man. Ranvir Shorey was given some of the wittiest lines and he delivered them with flawless timing. ‘Khosla Ka Ghosla’ is a clean, well made comedy which leaves you in splits! ‘Nil Battey Sannata’ is one of my absolute recent favourites from Bollywood. Directed by debutant director, Ashwini Iyer Tiwari, it follows the life of a single mother, ‘Chanda’ played by Swara Bhaskar, who in spite of being a maid, dreams of making her ‘good for nothing’ daughter, ‘Apeksha’ played by Ria Shukla, do something meaningful with her life. It is replete with hopes, inspiration and humor and is one of those movies which can make you want to achieve greater things in life. In fact, it is the perfect movie to watch with your parents or children on a movie date at home and trust me when I say, you won’t be disappointed. You can never go wrong with this movie if you want to feel good! ‘Kabhi Haan Kabhi Naa’ is from a time when Shahrukh Khan was not the humongous superstar that he is today, but it is definitely one of his better performances. Directed by Kundan Shah, it is about a happy-go-lucky young musician, ‘Sunil’ played by Shahrukh Khan who is madly in love with a beautiful girl, ‘Anna’ played by Suchitra Krishnamurthy, who on the other hand loves Chris, played by Deepak Tijori. It was one of the first movies which presented the ‘hero’ of the film as a loser and at that time didn’t really capture the fancy of the Indian audiences. However, over the years, the film has attained a cult status and is considered to be one of the best Bollywood movies of the 90s. The movie as well as Shahrukh’s performance has a kind of innocence and ‘feel good’ factor that we can so identify with that era. Also, it had a perfect ensemble cast with veteran actors like Naseeruddin Shah, Satish Shah, Rita Bhaduri, Ravi Baswani, Anjan Srivastav who contributed significantly towards making it a wonderful film. Had this been a comedy movie list instead of a ‘feel good’ one, ‘Jaane Bhi Do Yaaro’ would have undoubtedly been right at the top. Even after 34 years of its release, ‘Jaane Bhi Do Yaaro’, directed by Kundan Shah, is widely considered to be the best comedy film of Bollywood. It is not exactly a sweet and nice feel good film, and more of a tragic comedy, but I have still kept it in the list for its superb humour. Boasting of an incredible star cast, with actors like Naseeruddin Shah, Ravi Baswani, Om Puri, Pankaj Kapoor, Satish Shah, Satish Kaushik, the film satirizes the corruption rampant in the society with the eventual loss of the two honest characters, Vinod and Sudhir, played by Naseeruddin Shah and Ravi Baswani respectively. The Mahabharata stage scene in the climax is considered to be one of the highlights of the film. 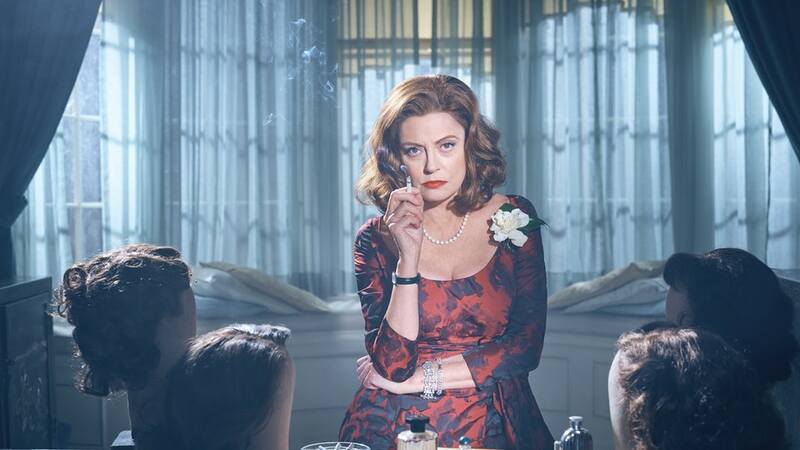 Watch it for the amazing performances and the dark and absurd humor! No one really expected ‘Hera Pheri’ to become such a cult film, when it released back in 2000. But, it turned out to be one of the biggest surprise packages of the year. 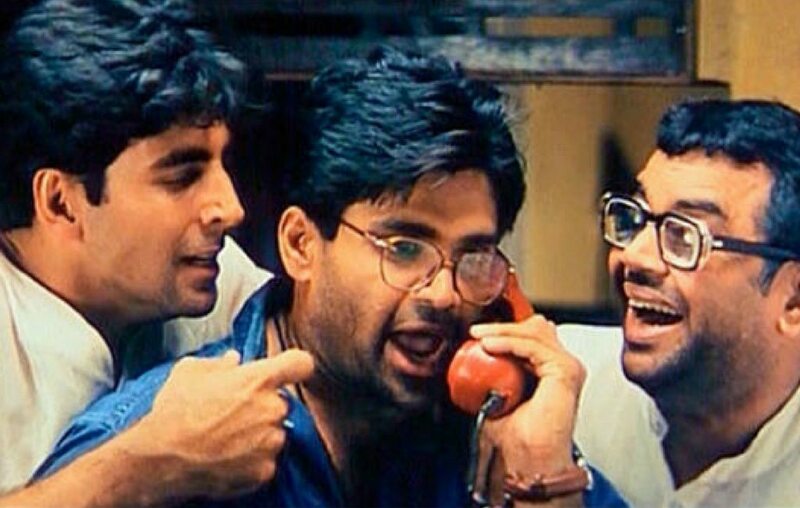 ‘Hera Pheri’ directed by Priyadarshan, is about three men living together, played by Paresh Rawal, Akshay Kumar and Sunil Shetty, whose lives change after they receive a sudden phone call one night. Paresh Rawal with his impeccable coming timing made ‘Babu Rao Ganpat Rao Apte’ one of the most iconic comic characters of Hindi Cinema. 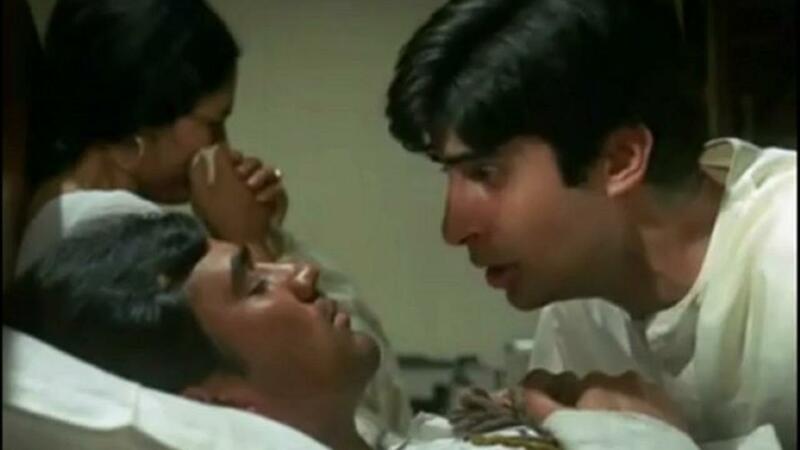 Who can forget his dialogues like, “Utha le re baba, utha le, merko nahi re in dono ko utha le”, “Kaun Devi Prasad?.. Deva re deva, ye devi ka prasad mandir me milta hai, idhar nahi re”, “Ye Babu Rao ka style Hai”! The crisp dialogues, brilliant screenplay and the onscreen camaraderie among the three make it one of the most watched comedies of Bollywood. Hrishikesh Mukherjee’s ‘Bawarchi’ is a film that we fondly remember from our childhood days. It portrays the story of a professor in disguise, ‘Raghu’ played by Rajesh Khanna who becomes the cook of a dysfunctional family and brings the members closer. Like every other Hrishikesh Mukherjee film, it has simplicity, humor, family values and entertainment, all in the right amount. At a time, when joint families have become a passé concept, movies like these give us a glimpse into the traditional, yet modern Indian families of the bygone era. Rajesh Khanna was unanimously praised for his performance and also won the award for Best Actor in the BFJA awards. Bawarchi is a lovely feel good movie to watch with your whole family on a Sunday afternoon! ‘Chhoti Si Baat’, directed by Basu Chatterjee was a surprise hit of 1975. The film revolves around Arun (Amol Palekar), a shy and under confident man who is in love with a beautiful young woman, Prabha(Vidya Sinha) and yet unable to confess his love to her because of his reserved nature. It is then that Julius Nagendranath (Ashok Kumar) comes into the picture and trains him to be confident and woo a girl the right way. Just like Hrishikesh Mukherjee, the strong point of a Basu Chatterjee film is its simplicity. From the heroine’s floral sarees to the dialogues, every single thing in the movie is real and understated. As the awkward introvert, Amal Palekar couldn’t have done a better job and it is impossible to imagine anyone else in this character. The movie makes you feel that there is hope for every introverted person and if Arun can do it, you can do it too! ‘Chupke Chupke’ was released in the same year as Sholay and both the movies saw Dharmendra and Amitabh Bachchan in completely different roles. However, both the movies were hugely successful in their own way. ‘Chupke Chupke’ is a quintessential Hrishikesh Mukherjee film, where you will find all his elements, close family relationships, situational comedy and of course, the feel good factor. The film is primarily about Dr. Parimal Tripathi (Dharmendra), a Botany professor, pulling out a practical prank on his brother-in-law, Raghavendra Sharma (Om Prakash) to prove it to his wife (Sharmila Tagore) that her husband is no lesser than him. And then, there are Amitabh Bachchan and Jaya Bhaduri as the second leads. It is one of those movies where everything, from the performances to the screenplay fell in the right place and made it such a worthwhile watch! ‘Andaz Apna Apna’ directed by Rajkumar Santoshi is the maddest comedy Bollywood has ever had. ‘Amar’(Aamir Khan) and ‘Prem’ (Salman Khan), two good for nothings, set out to marry the rich ‘Raveena Bajaj’ (Raveena Tandon) to sort out their lives for good, but then the real ‘Raveena’ (Karisma Kapoor) turns out to be the girl who was acting as Raveena’s secretary, ‘Karishma’ all this while. And then characters like Teja, Robert, Crime Master Gogo enter the scene and the movie turns into a laugh riot. This is the only movie where you can see Aamir and Salman Khan together and they share such crackling chemistry on-screen! This is hailed by many as the funniest movie ever and rightly so. It’s hard to imagine why this movie failed when it was first released! Its sheer madness makes it the feel good movie you absolutely must watch! The legend of Rajkumar Hirani started with ‘Munna Bhai MBBS’ and is still going strong. Both the movies in the series, ‘Munna Bhai MBBS’ and ‘Lage Raho Munna Bhai’ are hilarious as well as give out important social messages. While ‘Munna Bhai MBBS’ was about patients needing love (‘Jadu ki Jhappi’) along with treatment, ‘Lage Raho Munna Bhai’ talked about the Gandhian principles ‘Gandhigiri’ being indispensable in today’s society. Director and writer, Rajkumar Hirani’s strength lies in amalgamating relevant topics with rib-tickling humour and these two movies are perfect examples of that! Sanjay Dutt as ‘Munna’ and Arshad Warsi as ‘Circuit’ are iconic and their adventures together have been loved by children and adults alike! This ‘tapori’ series will definitely make you laugh your heart out time and again! ‘Jab We Met’ directed by Imtiaz Ali is the most celebrated romantic comedy of the last decade. The film is about the chance meeting of a boy (Shahid Kapoor) and girl (Kareena Kapoor) on a train which changes their life forever. Kareena Kapoor became a rage after this film and Shahid Kapoor was the perfect understated ‘Aditya’ to her vivacious ‘Geet’. Like all other Imtiaz Ali movies, the conversations just flow between the leads. Kareena’s dialogues like, “Main apni favourite hoon”, “Koi doubt mat rakhna, Sikhni hun main Bhatinda ki” have become a part of pop culture. The movie is warm, comforting and ideal for those days when you need some good dosage of laughs and romance! When you see a movie like ‘Shree 420’, you realize why Raj Kapoor is called ‘The Showman of Indian Cinema’! He was way ahead of his times, be it with the content or the camera work in his films! The movie centres on the life of a tramp (Raj Kapoor), poor but cheerful, who comes to Mumbai in search of work and gets trapped into the world of corruption. Raj Kapoor gets every nuance right, whether as the actor or the director. His chemistry with the beautiful Nargis is magical. The supporting actors, including Nadira and Lalita Pawar are perfectly cast in their roles. The film is also noted for having one of the first love songs filmed with fake rain (‘Pyaar Hua, Ikraar Hua Hai’) in Bollywood. This and all the other songs still remain popular sixty years later. A line in the song ‘Pyaar Hua, Ikraar Hua’- ‘Main na rahungi, tum na rahoge, fir hi rahengi nishaniyan’(You and I won’t be there, but the signs will forever live on) sums up the movie and the performances! Watch it to get transported into an era which we can only see through movies! When the yesteryear superstar actress, Sridevi decided to make a comeback after 15 long years with ‘English Vinglish’, it was very much given that the film was going to be a special one! And keeping up with the expectations, it didn’t disappoint at all! ‘English Vinglish’ directed by Gauri Shinde is about a housewife, ‘Shashi’ played by Sridevi, who makes awesome ‘laddoos’ but is often made fun of by her family for her inability to speak English. On a trip to New York for her sister’s daughter’s wedding, she finally vows to join an English speaking course after being humiliated in a café for her lack of understanding of the language. Sridevi gave a heartwarming performance as ‘Shashi’ and it just never felt like she was away for so long! Several moments like the café scene and the climax speech stand out for her incredible acting. ‘English Vinglish’ is a must watch feel good film for everyone! Another Hrishikesh Mukherjee film, ‘Gol Maal’ is highly considered to be one of the best comedies of Indian Cinema. It is a Comedy of Errors wherein a common man, ‘Ramprasad Sharma’, played by Amol Palekar has to lead a double life because of a lie that he told his boss, ‘Bhawani Shankar’, played by Utpal Dutt. One of the central themes in the movie is the generation gap between the characters of Amol Palekar and Utpal Dutt. While Utpal Dutt is an orthodox man who believes that ‘Work is God’ and doesn’t think highly of young men who have other interests, Amol Palekar is a street smart guy who can charm his way out of any situation. The humor in the movie is situational and credit goes to the lead actors for their superb timing. 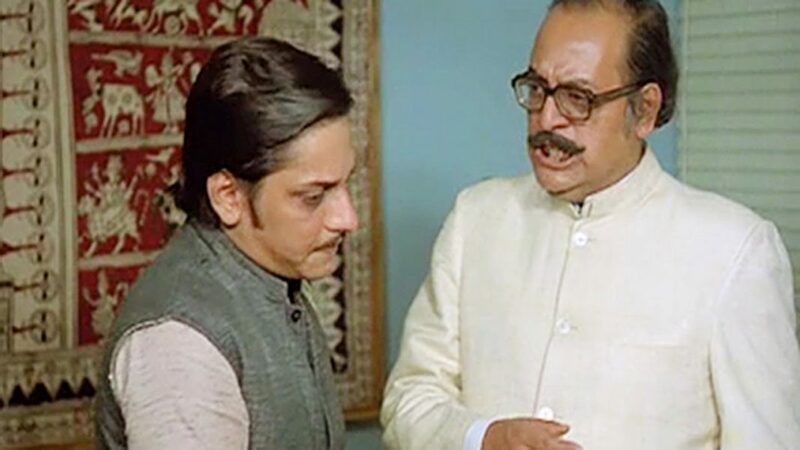 Both Amol Palekar and Utpal Dutt were effortless and nailed their respective roles, bagging the Filmfare Best Actor and Filmfare Best Comedian Awards respectively. Gol Maal is a laugh riot and if you haven’t watched this film yet, you are missing something. Loosely based on Chetan Bhagat’s first novel, ‘Five Point Someone’, ‘3 Idiots’ directed by Rajkumar Hirani, took the country by storm when it was released in 2009. The movie is about three friends at a premier engineering institution, with one of them ‘Rancho’ (Aamir Khan) being a genius. He abhors the regular system of teaching in class and makes his friends see the fault in it too. Like every other Rajkumar Hirani movie, it gives out a relevant message told in an entertaining manner. Here, the idea being, ‘Don’t pursue success, pursue excellence and success will be yours’. It also gave us memorable characters like ‘Rancho’, ‘Virus’ and ‘Chatur’. Dialogues like ‘All is Well’ became a part of everyday conversations. ‘3 Idiots’ was the first Bollywood movie to cross the 200 crore mark and since then its popularity has only grown, because of its wonderful story and of course, the ‘feel good’ appeal! It wouldn’t be an exaggeration to say that ‘Dil Chahta Hai’ directed by Farhan Akhtar redefined ‘cool’ in Indian Cinema. From the trendy hairstyles to Aamir’s goatee, I still remember the stir that the movie created when its first trailer came out on television sixteen years back. A coming of age story of three friends, played by Aamir Khan, Saif Ali Khan and Akshaye Khanna, it immediately struck a chord with the youth for its freshness, honest performances and the humor. Saif Ali Khan as ‘Sameer’ was a revelation and had some of the best lines in the film. The whole episode with him, Sonali Kulkarni’s character ‘Pooja’ and the guy who played ‘Subodh’ is hilarious. It won several awards including seven Filmfare Awards and six National Awards. Even today, the movie doesn’t look dated at all and can win you over the same way it did then! ‘Jo Jeeta Wahi Sikandar’ directed by Mansoor Khan is one of the most iconic movies of the 90s. The film revolves around the lives of a bunch of college students in Dehradun, with the annual inter-college sports championship being the most celebrated event of the town. From the performances to the music (‘Pehla Nasha’ became the romance anthem of the nation) to the cycle race in the end, this movie is etched in the hearts of every Bollywood lover. One of Aamir Khan’s best performances ever, it is a shame that he didn’t win the Best Actor Award that year. The movie however managed to bag the Filmfare Best Film of the Year award. ‘Jo Jeeta Wahi Sikandar’ is a classic and it never fails to inspire you! ‘Queen’ directed by Vikas Bahl was undoubtedly the movie of 2014. It brought Kangana Ranaut into the league of the top actresses and she went on to win a National Award for the film. The film is about Rani (Kangana Ranaut), who is dumped by her fiancé just a day before their wedding. Heartbroken, Rani decides to go on her honeymoon alone to Paris and Amsterdam and it is on this trip that she finds out her strengths and discovers her true self. 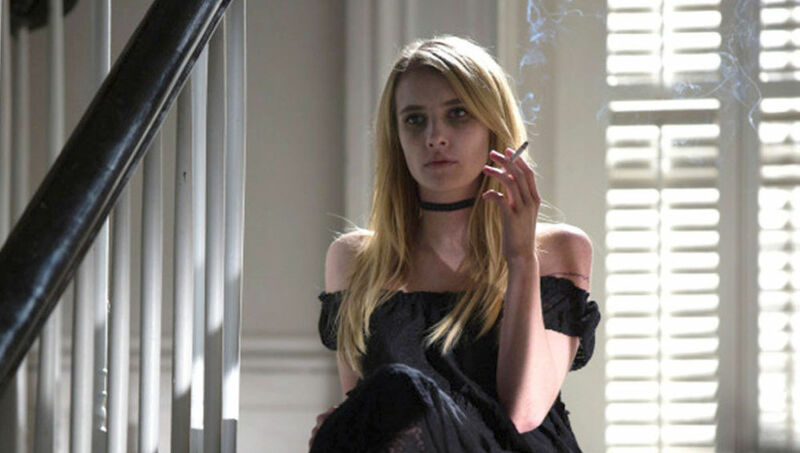 ‘Queen’ is that one movie you need to watch if you are going through a terrible break-up phase. The movie is inspiring, rejuvenating and everything that you want in a ‘feel good’ film. And I am sure that a lot of people must have had thoughts of going on a single honeymoon like Rani after watching it! Kangana Ranaut as ‘Rani’ gives one of the best performances by an Indian actress ever. From the shy, under confident girl, she transforms into this beautiful woman who has learnt to experience the joys of life to the fullest! ‘Queen’ is one of the best Bollywood has done in recent times and you just cannot miss it! Recently, the lead actor of ‘Udaan’, Rajat Bharmecha had put up a status on Facebook saying that although he was praised by everyone unanimously for ‘Udaan’, he never really got a lot of good offers post that, being from a non filmy background. It is really a pity considering that Rajat’s performance in Udaan was so utterly moving. The story of a young boy, Rohan (Rajat Bharmecha), with dreams of becoming a writer, who is ruthlessly bullied by his tyrant father (Ronit Roy), Udaan holds you captive with its poignant story and brilliant cinematography. Critics loved it and masses slowly warmed up to it. Right from the first poem (‘Bhul gaye hai jute kahan utare the’) that Rohan recites to the invigorating end where he walks away with his step-brother, ‘Udaan’ is an experience that stays with you long after you are done watching it! 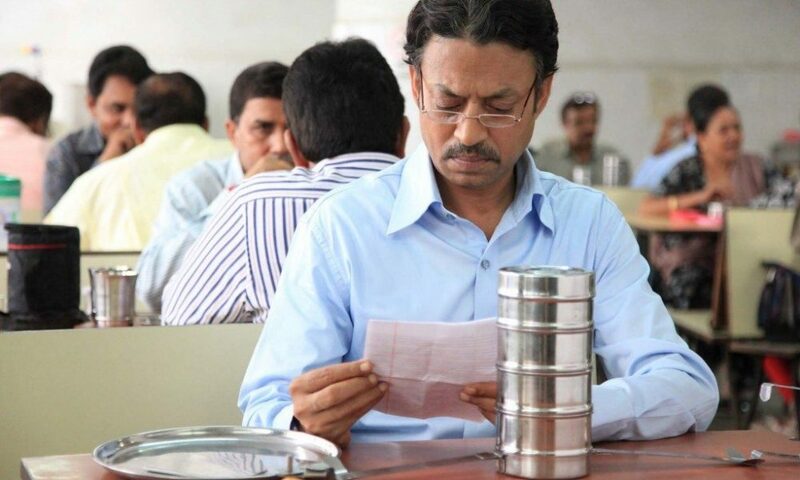 ‘The Lunchbox’ directed by Ritesh Batra is about two persons, one an old widower and the other, an young and ignored housewife and how they develop a strange and beautiful bond through a ‘lunch box’ delivered on the wrong address by the ‘dabbawala’. 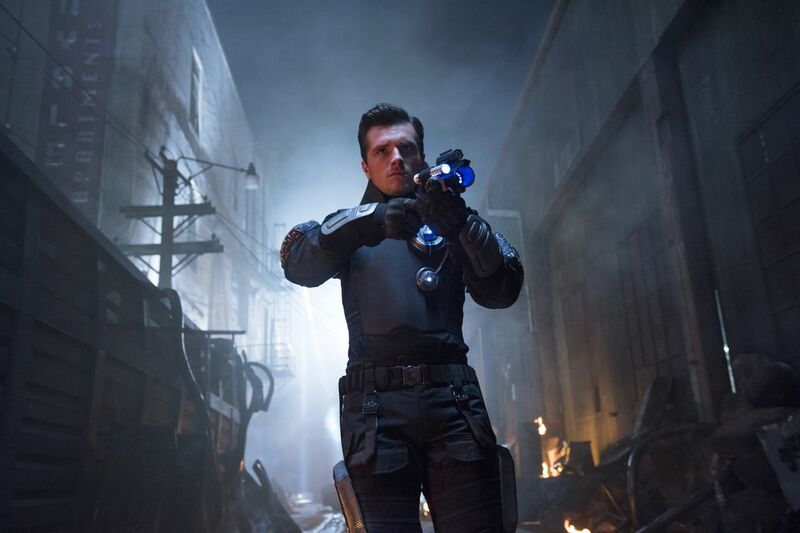 With so many awards and accolades, the movie has been hailed by the critics as brilliant on many levels. But, most significantly, the heart of the film is the simplicity and uniqueness of the story, which shows that despite age, marital status, society, everyone has the right to dream and feel loved. Be it the typical good hearted ‘aunty’ whom we only get to hear, or the scene where ‘Ila’ lovingly packs the food with the ‘Saajan’ movie song playing in the background, or the slowly developing friendship between ‘Ila’ and ‘Saajan’, there is just so much to love in the film! Irfan Khan and Nimrat Kaur give us two characters so real that no matter what age you are, you can connect with them and feel their pain, angst and the final call to a new life. Nawazuddin Siddiqui as the incompetent but endearing junior gives an excellent performance. ‘The Lunch Box’ is a heartwarming story that deserves to be watched multiple times! ‘Anand’ starring Rajesh Khanna and Amitabh Bachchan, is a testimony to the genius of Hrishikesh Mukherjee. A story about a man slowly dying from cancer, and yet not ready to bow down to it and thus living his life without any inhibitions, ‘Anand’ is a triumph in Hindi cinema which has seldom been matched. Rajesh Khanna’s graph from an effortless charmer to his poignant end will move you like no other. Amitabh Bachchan as ‘Babumoshai’ played his character with utmost restraint. Just like most other Hrishikesh Mukherjee movies, Anand gives you a social message packed with humor, and a strong emotional core. Here, the thought was, “Zindagi badi honi chahie, lambi nahi”(Life need not be long, but big)! If you want to watch a feel good movie, it can’t get better than this!